Welcome to the online home of the British Wrestlers Reunion where we celebrate the best in British wrestling from the wonderful halcyon days of the World of Sport era to the modern day stars. Here you will find thousands of posters, photos, programmes, discussion forums, articles, newsletters and over 300 videos all dedicated to the great art of professional wrestling plus a comprehensive obituary section in memory of the great gladiators that have fallen and the British Wrestlers Hall of Fame.. The first Reunion was held following the death of the great CATWEAZLE in 1991 with just 6 wrestlers, but since that time has grown to become the largest Reunion in Europe and the second largest of its type in the World, with over 5000 online members on our website and facebook page combined and an excess of 450 attending the functions each year. There are regular intimate dinner parties for wrestlers and officials to get together privately in order to have a few drinks and 'tell a few lies' and every year we hold an Annual Reunion on the second Sunday in August at 'The Bridges' Public House and gardens in Horton Kirby, South Darenth, Kent, hosted by owners, former Heavyweight Champion of the World WAYNE BRIDGES and Treasurer 'Miss Great Britain' SARAH BRIDGES. The Reunion is headed by our beloved President JOE D'ORAZIO and each year we bring together legendary wrestlers and officials from all over the World to welcome each other and their devoted supporters to share a day of camaraderie and fun in a peaceful setting. So, whether you are a seasoned Professional, retired or still wrestling, a young wrestler starting your career, official or a wrestling supporter, there is sure to be something of interest in these pages. Come inside and join our fraternity today for a veritable feast of wrestling in the 'Ring of Friendship' where you will receive a warm welcome like no other. 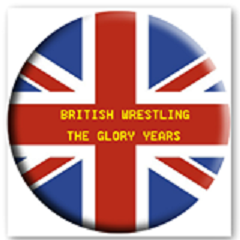 PLEASE SUPPORT THE BRITISH WRESTLERS REUNION BY USING THE AMAZON LINK FOUND UNDER THE MORE SECTION IN THE NAVIGATION BAR AT THE TOP OF THIS PAGE. ALL PURCHASES (it does not have to be wrestling related) MADE VIA OUR LINK RAISES FUNDS FOR THE REUNION WHICH GOES TOWARDS THE REUNION DAY ITSELF AND MAINTAINING THE WEBSITE.